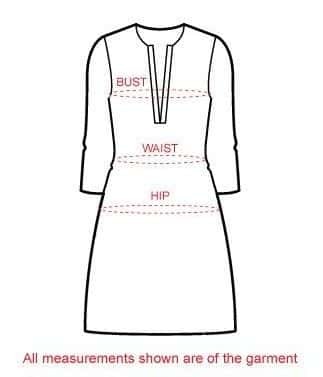 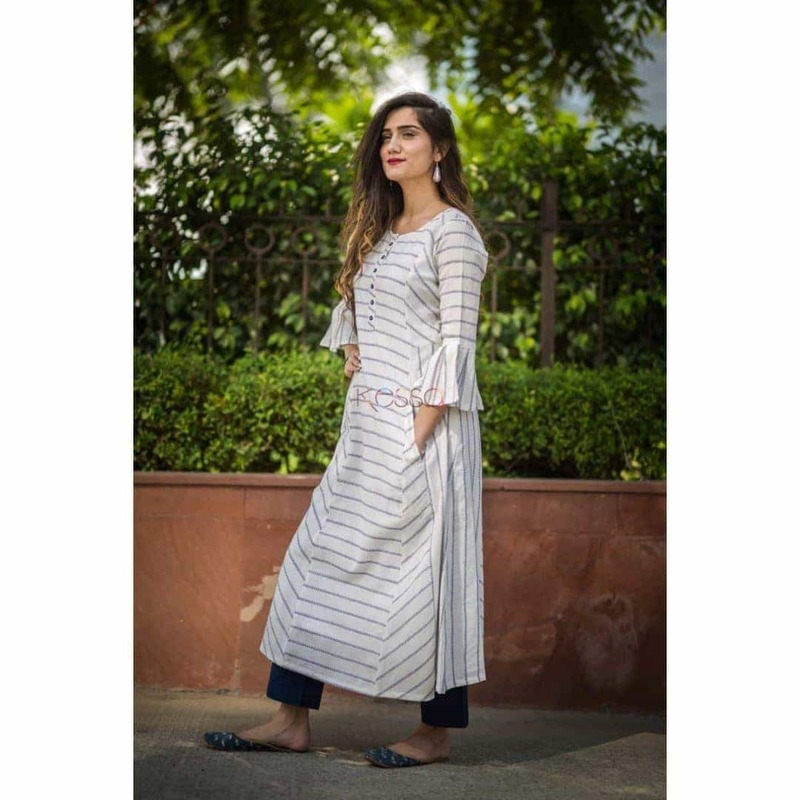 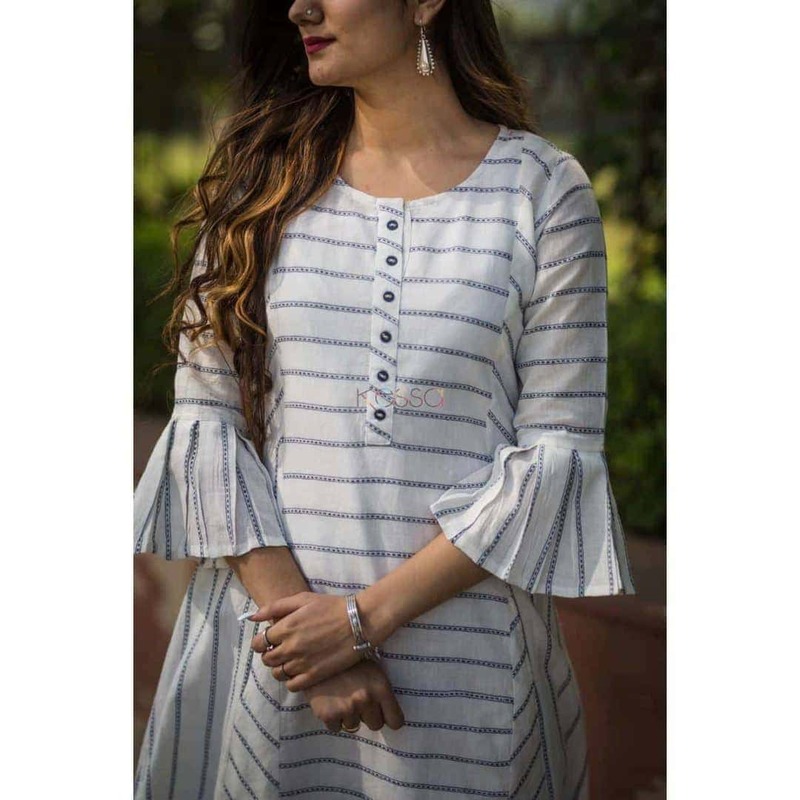 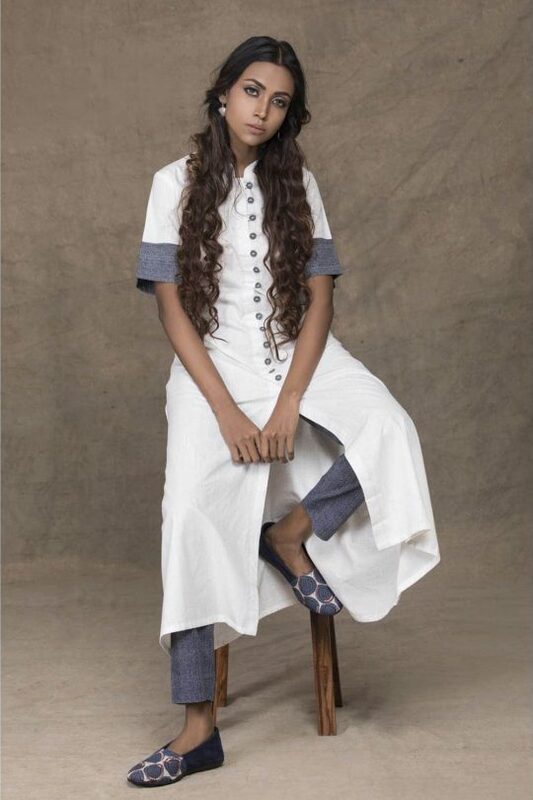 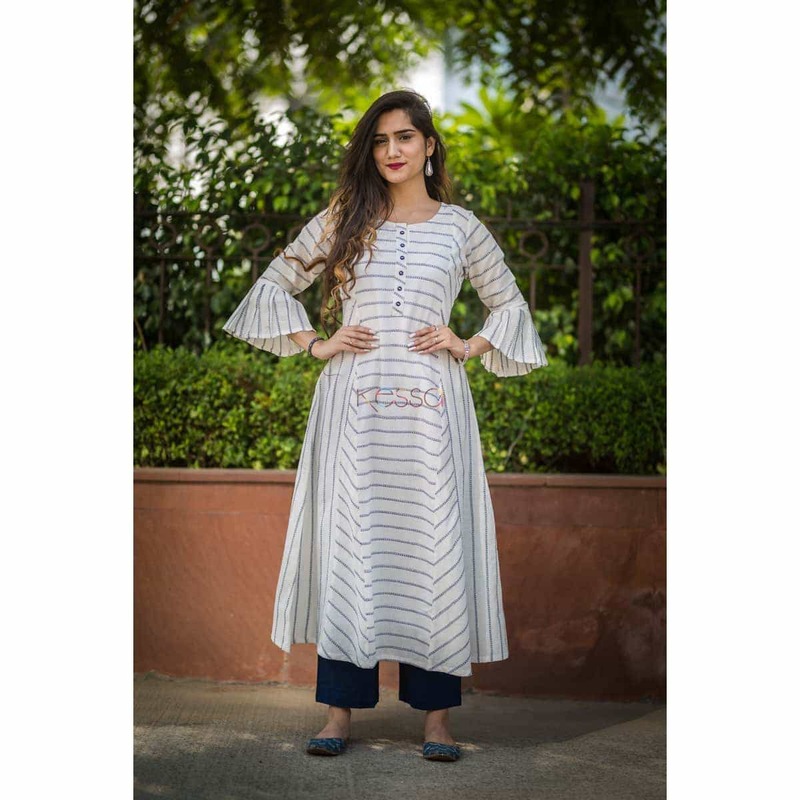 This A-line navy-blue stripe kurta with two front pockets is highlighted with ruffled sleeves. This can be paired with blue navy pants and silver earrings. 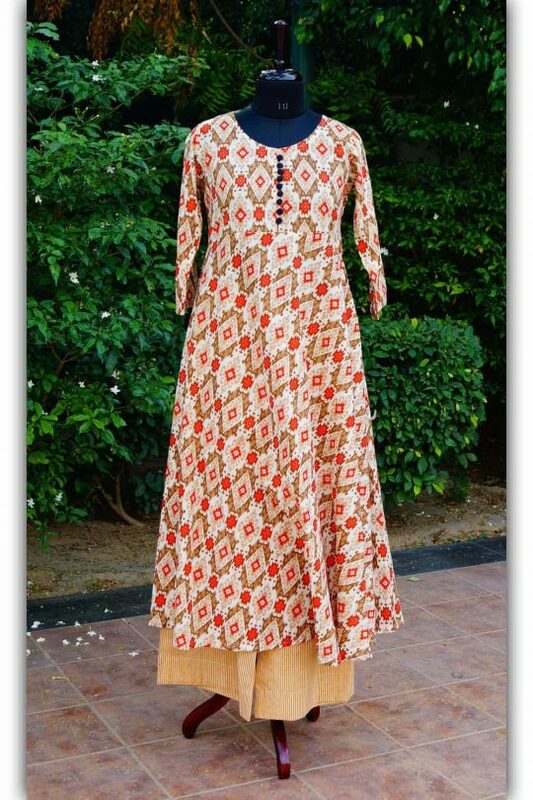 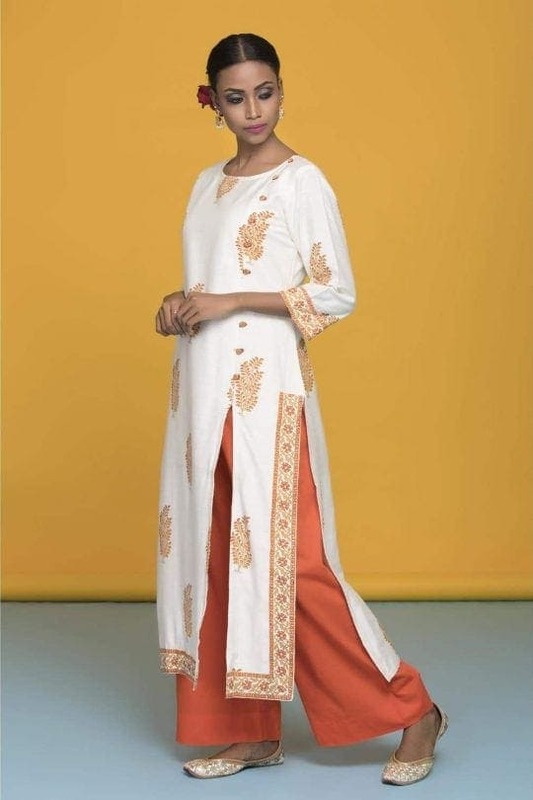 It is perfect for your casual outings. 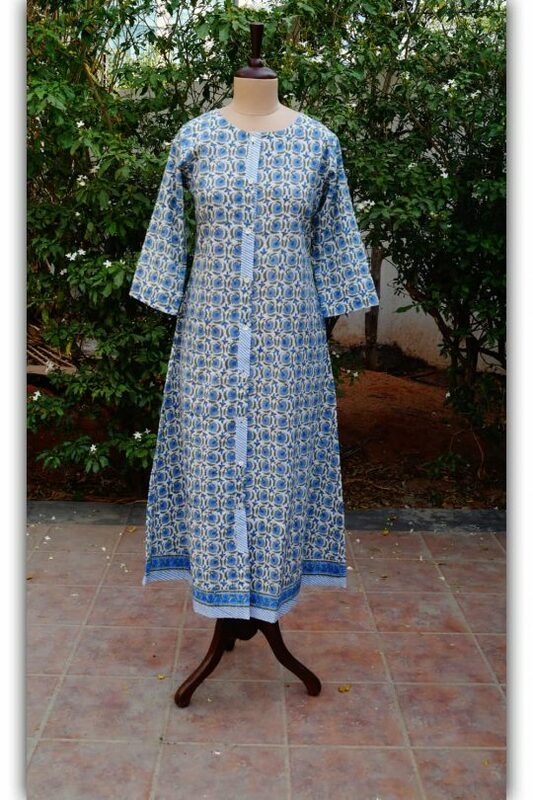 This is a Dry-Clean only garment.